The Archaeological Society of Alberta (ASA) comprises over 300 members living across Alberta and beyond. There are six Centres (Calgary, Bodo, Lethbridge, Red Deer, Southeastern, and Strathcona), each with their own elected officials. These centres host a speaker series, workshops, fieldtrips, and other events. Click on the Centre nearest you in the above menu for information about their activities. 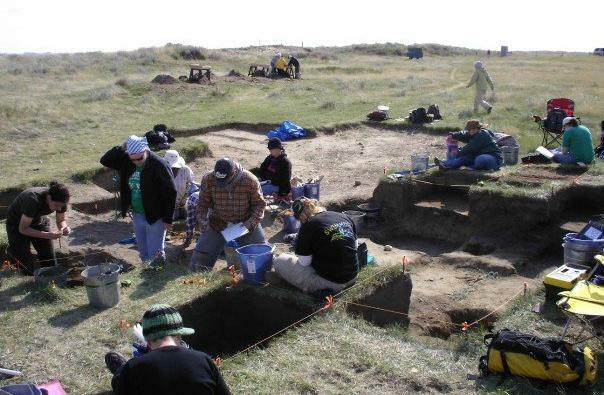 The ASA holds an annual general meeting and conference each spring, and publishes a biannual report called the Alberta Archaeological Review. We also have a general newsletter that highlights some of our activities. Follow the menu links above for more information about elements of the ASA along with the links to our centres and other ASA resources. The ASA has a new Gold Book: Medicine Wheels of the Plains and Rocky Mountains (Volume 15)! Plus, our Gold Series Books are now on SALE! Click on the Publications - Gold Series link to check out the new volume and great deals!